As survival rates for breast cancer improve, long-term effects of treatment are receiving increasing attention, including upper quarter impairments and functional limitations. The purpose of this study was to assess, through qualitative means, the long-term effects of breast cancer treatment on upper quarter function as reported by those with expertise in upper quarter dysfunction. Participants were physical therapists who were either breast cancer survivors (“survivors”) or those who specialized in treatment of individuals post-breast cancer (“treaters”). Three focus groups (two groups of survivors [n = 16] and one group of treaters [n = 10]) were convened to discuss their experiences with upper quarter dysfunction post-breast cancer. Qualitative research methods were used to collect and analyze the data, to extract themes, and to assure reliability and validity of the original and extracted data. Two themes emerged from the data and are supported by participant quotes. The first theme described the presence of upper quarter dysfunction that impacted body structure and function and resulted in activity/participation limitations. The second theme described the contextual factors that impacted the reported dysfunction, including access to comprehensive care, inadequate attention by health care providers, and a resulting need for self-advocacy. 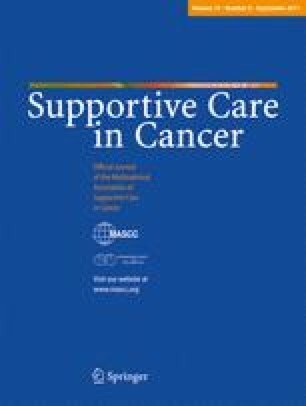 The study supports the problem of late effects from breast cancer treatment on upper quarter function and points out the need for better education for health care providers, increased long-term surveillance of survivors, and a more proactive model of health care delivery for this population. The views expressed in this article are those of the author(s) and do not necessarily reflect the official policy or position of the Department of the Navy, Department of Defense, nor the US Government. The authors wish to recognize the Oncology Section and the Section on Research of the American Physical Therapy Association, as well as the facilitators and participants, for their support of this project. This research was not sponsored by any organization, and none of the authors has a financial relationship with any organizations for which this research would present a conflict of interest. The data were in the hands of the authors at all times and are available to the journal upon request. Tell us about your perceptions of your current shoulder/arm function on your affected side. – How does your shoulder function now compare to pre-diagnosis function? – How, if at all, has your shoulder function changed since you considered yourself “recovered” from treatment? – Does any pain or discomfort you might be experiencing affect what you are able to do? – Are there things you avoid doing because of pain, discomfort, or other functional limitations? How, if at all, do you see your quality of life affected by any upper quarter dysfunction you may be experiencing other than what has already been mentioned? What, if anything, would you would want a physical therapist to do for you if you had unlimited time and resources? What long-term effects of treatment for breast cancer do you think you and your oncologist should have talked about that you have not talked about? – What questions should your oncologist have been asking you that he or she did not? What do you think physical therapists should know about the long-term effects of treatment for breast cancer that have not already been mentioned here? Tell us about any common set of problems or findings in the upper quarter that you encounter among those patients who have a history of breast cancer. – What signs and symptoms in their affected upper quarter do your patients with a history of breast cancer report other than what brought them to PT? – What kind of functional limitations, if any, do you find in your patients who have been treated for breast cancer other than what brought them to PT? Is there any pattern to when you see patients coming to you relative to time from diagnosis or treatment? If you treat the upper quarter of someone who has a history of breast cancer, how (if at all) do you modify your interventions or plan of care because of the sequelae related to treatment for breast cancer? How, if at all, do you see your patient's quality of life affected by any upper quarter dysfunction she or he may be experiencing other than what has already been mentioned? What would you want to do for someone with a history of treatment for breast cancer if you and the patient/client had unlimited time and resources? What would you like oncologists or other physical therapists to know that has not yet been mentioned here? By what routes do patients reach you? Are there common referral pattern?